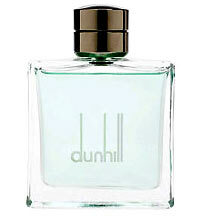 There are 46 reviews of Dunhill Fresh. I absolutely love Dunhill Fresh. I also love Fahrenheit by Christian Dior. I wear them interchangeably. I purchased ten bottles because I love wearing Fresh and I get many, many compliments. Many people have often mistaken it for Fahrenheit. One red, one green. I believe the leather note in Fahrenheit is more prominent. Actually, I love them both equally, yet I can never get my fill. I find myself constantly wearing those two. I wonder how they would smell if worn together? I'll have to try that. I give fresh 5 stars, as well as Christian Dior's Fahrenheit. It's okay. Definitely has a crisp quality to it. Perhaps I'm so enamored by Dunhill Signature that this flanker just didn't measure up. But you be the judge. This smells like Nautica Voyage mixed with tennis balls, or "that new car smell" spray or air freshener's. Fresh is ok, but I got rid of my bottle because I never wear it. It's a run of the mill aquatic with a twist to it. Love it! Some people have guessed it to be Fahrenheit...dunno why...like 'em both but don't see similarities. This has given me headaches though. Smart but lazy. What a shame. Dunhill Fresh could have been a really good perfume for me, if they just put some more effort in it. It is basically a violet-centered mix between a brighter version of Dior’s Fahrenheit crossed with Jil Sander Man; sort of greener and more “aquatic” than both, with a really nice soft leather base note and a smooth powdery accord of violet and green stuff. A sprinkle of woods and that’s it. So there is this kind of dark, really mellow and comforting smooth base of powdery synthetic leather with a really enjoyable and refined wood accord, topped with a sort of damp green accord of grassy citrus and herbs. So far so good, so where’s the problem? The problem is that for some inexplicable reasons, it all smells deeply, desperately lifeless and pale for me. Maybe the materials are cheap, but more than that, in my opinion it feels like if they had these two nice “ideas” to develop – something leathery-violet-rubbery, something grassy-aquatic-musky – and at some point they just slapped one onto the other and bottled the concoction as-is, without really caring to “tune in” the notes together. So you get this blend which seems containing two separate layers which proceed in a parallel way rather than blending, like if you layered two different perfumes. And they end up in taming down and annihilating each other. That’s a shame because you feel they would go well together, with just some more tuning and some consistency to really become “one” – and a quite good one. Instead here it all remains kind of uneven and patchy in my opinion. Not a complete disaster, though: as-is, it’s a decently nice, classy, warm and unoffensive office-safe perfume with an elegant and discreet projection close to skin (and a crap persistence). Nothing really “fresh” for me, but bright in its own way. Just way duller than it may have been with just a little more effort. There are no member images of Dunhill Fresh yet. Why not be the first? Something like Dunhill Fresh without its boring top notes? Fahrenheit "fresh" alternative: Dunhill Fresh or Paul Smith Men?